Stepping it up: Manny Pacquiao. Filipino boxing icon Manny Pacquiao has started sparring ahead of his May 2 showdown with unbeaten US rival Floyd Mayweather – but won’t be sharing a ring with Cuban Guillermo Rigondeaux. Pacquiao’s workout at the Wild Card Gym yesterday included five hard rounds with a pair of sparring partners. It pleased trainer Freddie Roach as well as the Asian legend, who was anxious to start swinging his fists at foes following nearly two weeks of other training. “After 13 days of strength and conditioning and boxing drills at Wild Card plus weeks more of working out in the Philippines in February, it was great to finally put on the headgear and spar,” Pacquiao said. t had been rumoured that Pacquiao had recruited super bantamweight champion and defensive genius Rigondeaux to mimic Mayweather’s style. However, Roach denied that and revealed he would be sparring two unbeaten prospects in Kenneth Simms Jr. (5-0, 2 KOs) and Rashidi Ellis (14-0, 11 KOs). Roach was extremely pleased with Pacquiao’s display, especially since he had not fought since overwhelming Chris Algieri last year. Roach noted Pacquiao’s sparring had started on St Patrick’s Day while US baseball teams were involved in pre-season spring training, making his confidence for the big fight clear. Put your Money where your mouth is: Mayweather defeated Juan Manuel Marquez in 2009. Everybody has an opinion when it comes to the May 2 superfight between Floyd Mayweather and Manny Pacquiao. But few are more qualified to speak about what might unfold at the MGM Grand in Las Vegas just over six weeks from now than the five men who have shared a ring with both fighters. Nobody has spent more minutes on the end of Pacquiao’s punches than Juan Manuel Marquez, who has faced the Filipino no less than four times – losing twice, drawing one and winning once with a sensational knockout in December 2012. 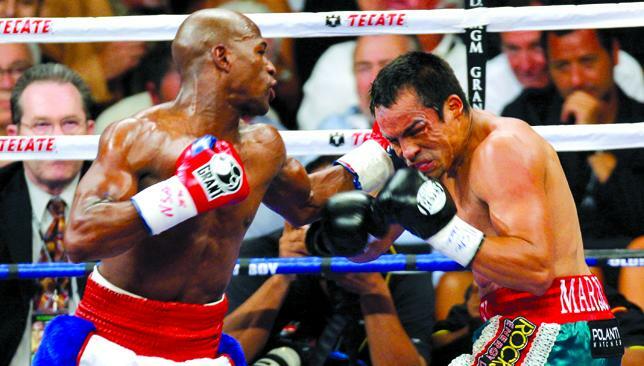 Marquez also faced Mayweather in September 2009 where he dropped a wide decision to the American. It must be remembered, however, that Marquez was stepping up for a bout set with a 142-pound catchweight and then accepted an increased purse to go ahead with the fight when Mayweather arrived for the weigh-in a full four pounds too heavy. By the time they reached the ring he was even bigger and made full use of his size advantage. Mayweather’s larger frame was clearly evident when he faced off with Pacquiao at their Los Angeles press conference last week, but Marquez doesn’t believe that will prove much of a factor. He does, however, expect Mayweather to make it a “boring” fight and win a decision. “In these kind of fights height and strength is not a big difference,” said Marquez. “Most importantly is who has the better mind in the fight, who launches their attacks better, and uses their defence better, which Mayweather knows how to do well and Pacquiao must improve on. He added: “Floyd’s style and technique has given him 47 wins, so why take a risk in the biggest fight of his career? Floyd is a technical fighter who can make it a boring fight if that suits him. Just one other of the pair’s shared opponents chooses to disagree and that is Miguel Cotto. The Puerto Rican shares a trainer with Pacquiao these days and he says Freddie Roach’s strategy will be key to an upset. Ricky Hatton is the only man knocked out by both fighters and he says Mayweather’s counter-punching gives him the edge. Oscar De La Hoya took such a beating from Pacquiao in 2008 he retired immediately after that punishing eight-round drubbing. Twelve months earlier he was on the wrong end of a split decision against Mayweather. It’s a fight he still feels he won. 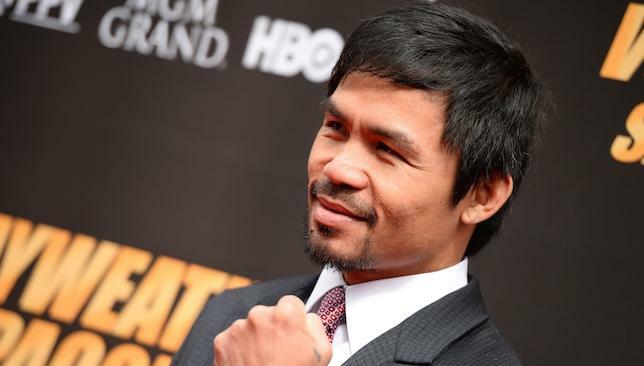 The 42-year-old believes the Pacman of old would be nailed on for victory, but the 2015 version may fall just short. The fifth and final man to have traded shots with both is ‘Sugar’ Shane Mosley and he also sees the home fighter emerging victorious with the help of the judges. “The better technician will be Floyd. He’s been fighting a lot more on the inside, and throwing harder shots. I don’t think people realise that Mayweather does have a little bit of power,” said Mosley. Unifying the belts: Kovalev on his way to victory over Bernard Hopkins. 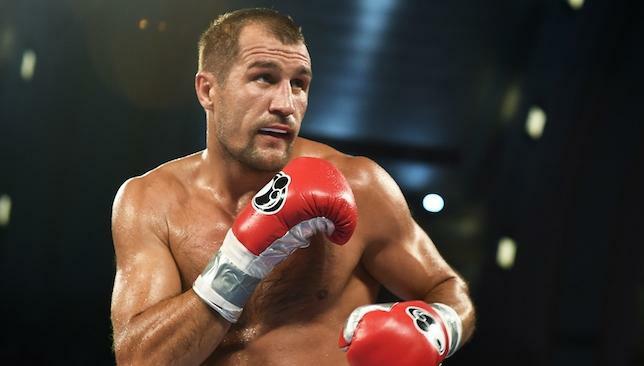 Sergey Kovalev says beating Jean Pascal will see him rise to a new level in his career. The rock-solid Russian puts his IBF, WBA and WBO light-heavyweight titles on the line against the Haitian-born Canadian in his opponent’s backyard at the Bell Centre in Montreal tonight. – #360debate: Will Manny Pacquiao beat Floyd Mayweather? Kovalev overwhelmed veteran Bernard Hopkins last November to unify three of the four major belts in the division. But in Pascal – and the size of the venue and hostile home crowd – the 31-year-old believes he faces his biggest test yet. “Jean Pascal is a tough boxer and Saturday I will see how tough,” said Kovalev, who has halted 23 of his 26 foes. “For me this fight is very interesting because it is next step in my career, the next test in my career. Pascal, 32, won once in each of the past three years, notably over compatriot and former world champion Lucian Bute at Montreal in January of last year. Last December, Pascal had a tworound no contest with Argentina’s Roberto Bolonti. Another Haitian-born Canadian, Adonis Stevenson, owns the weight division’s only major crown not at stake tonight. The 37-year-old southpaw is set to defend the WBC throne April 4 at Quebec City against Cameroonborn Australian Sakio Bika. Yes I predict Kovalev will dismantle Pascal.. I was shocked at the Hopkins win, well surprised at the way he done it.. He’s a top fighter! Pascal, who provoked his opponent into a shoving match at the final press conference by knocking his baseball cap off his head used an ice hockey analogy to describe his chances.